(30.5 cm), 261 pp., illustrations (some in colour). Publisher’s printed wrappers. 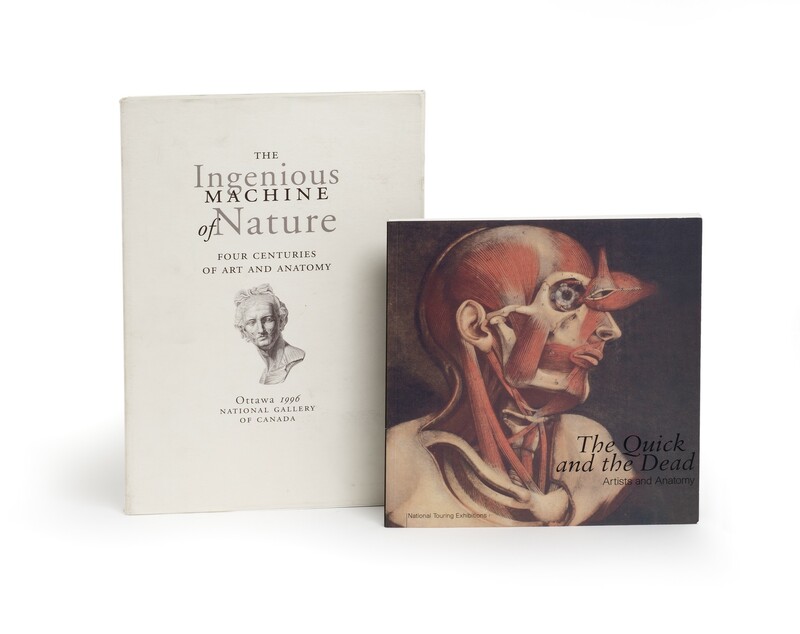 - Catalogue for an exhibition of anatomical drawings, prints and illustrated books, from the mid-15th to mid-19th centuries, including works by Leonardo da Vinci, Raphael, Michelangelo, Dürer and Rubens. Essays by Mimi Cazort (The theatre of the body), Monique Kornell (The study of the human machine: books of anatomy for artists), K.B. Roberts (The contexts of anatomical illustrations). (31 cm), 261 (3) pp., illustrations (some in colour). 127 works exhibited. Publisher’s printed wrappers. 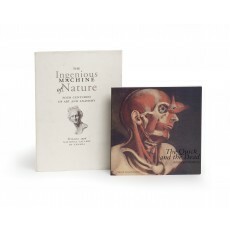 - Catalogue for an exhibition of anatomical drawings, prints and illustrated books, from the mid-15th to mid-19th centuries, including works by Leonardo da Vinci, Raphael, Michelangelo, Dürer and Rubens. Essays by Mimi Cazort (The theatre of the body), Monique Kornell (The study of the human machine: books of anatomy for artists), K.B. Roberts (The contexts of anatomical illustrations). ¶ Very good, unmarked copy. (22 × 22 cm), 120 pp., 93 illustrations (32 in colour). Publisher’s pictorial wrappers. - Exhibition of anatomical illustration, both medical and artistic, from the 15th to 20th century. 172 objects and images by some 90 artists, including Leonardo da Vinci, Dürer, Michelangelo, Hogarth, George Stubbs, Robert Gober, Kiki Smith, Marc Quinn and Cindy Sherman. Essays by Deanna Petherbridge and Ludmilla Jordanova. ¶ Very good, unmarked copy.